Grassfed dairy or goat milk ice cream (Primal) is loaded with calcium, beneficial saturated fats (needed to absorb the calcium) and Conjugated Linoic Acid (CLA). These combined with a nice ratio of protein and carbohydrates, helps to negate the insulin spikes caused by added sugars. Dairy based ice cream could be included on a Primal diet or on a selective dairy based version of a Paleo diet. Coconut based dairy free ice cream (Paleo) also has many benefits including being rich in saturated fats and lauric acid. Lauric acid plays a fundamental role in building your body’s immune system. Once in your system, lauric acid transforms into an antibacterial and antiviral substance called "monolaurin" which destroys viruses and diseases. Lauric acid also occurs naturally in human breast milk and plays a vital role in nourishing and protecting babies from infections. Cocount is also rich in Medium Chain Fatty Acids (MCFAs) which promote weight maintenance without raising cholesterol levels. Coconut based ice cream is also much lower in sugar than many other treats. Ice cream satisfies your sweet tooth. A healthy diet is all about not feeling restricted. Endulge in sensible moderation and enjoy food...it's magic. My Paleo version of Cherry Garcia in the works. Thank you Ice Cream Maker! Want your own...see the link at the bottom of this post! Use a thickener: I use grassfed gelatin but agar-agar or tapioca starch can work too. Make sure all your ingredients are COLD. I keep my ice cream maker base in the freezer for 24hrs + before using it. I also pre-freeze my ice cream storage dish and refrigerate my ice cream batter before churning it in the mixer. 4-24hrs is ideal. Store your precious creamy treat in a shallow glass dish. This will help it defrost evenly and ensure you get pretty scoops. Don't eliminate fat by using "lite" coconut milk or "low fat" milk. The fat is essential for the texture and taste. Plus, it's where most of the benefits are found. Don't eliminate all the sugar (unless on 21day Sugar Detox), some sugar is required for good texture. You can sub half the sweeter with stevia if you like. Watch your portions. Standard portions are 1/2 cup - 2/3 cups. I follow a dairy free Paleo diet and have been messing around with various ice cream recipes for years. Recently, I picked up a copy of Kelly Brozyna new book Dairy Free Ice Cream and it's changed my life! Her suggestions for thickeners using gelatin really helped the texture of the ice cream. It's something I'd experimented with before but couldn't quite get the ratios right. So far I've tried her recpies for chocolate, brownie batter, vanilla and used her ideas as a starting point for some of my own versions of classic treats including a mint chocolate chip and paleo cherry garcia (recipe below). Honestly, you have to buy a copy of this amazing book! Want Ice Cream but don't want to make it? Ok, so perhaps the process of ice cream making isn't your 'cup of tea'. Here are a few Paleo/Primal friendly tips to keep in mind when purchasing commercial based ice cream. Watch out for stablizers, additives and thickeners. Carrageenan is a common thickener that can cause digestive distress in some folks and is a bit controversial. See Chris Kressers post, here for more info. Check and see what the ice cream is sweetened with. Stay away from Agave nectar when possible. It is a sub-optimal sweetner for a number of reasons and I don't endorse it's use on a paleo or primal diet. In my opinion, agave is pure evil. If buying dairy ice cream, try to find grassfed dairy or goat milk dairy. Many local producers will make their own ice creams. In Canada Woolwich dairy goat ice creams are widely avaliable but grassfed dairy is harder to come by than it is in the United States. Mapletons Organic is pretty decent stuff although not grassfed. If buying non-dairy ice cream, stay away from Soy and read labels. The cleanest commercially available coconut based products I've found include: Screamin Brothers which is locally made here in Alberta and is honey as its sweetner. The widely avaliable So Delicious is transitioning all of its products from agave based sweeteners to organic cane sugar (yahoo) and it's coconut ice creams are pretty great. Meg's Verion of Paleo "Cherry Garcia"
I love my ice cream on a gluten free cone. These cones have pretty paleo friently ingredients and can be a nice little paleo cheat #notperfectpaleo. When I was a kid, cherry ice cream used to be my favourite. I would call it "beetle" ice cream because the cherries looked like beetles to my little 5 year old mind. I decided to try to recreate my childhood favourite after being inspired by Spunky Coconut's Kelly Brozyna. Puree 1 cup of cherries in blender and add coconut milk, date paste/coconut sugar, vanilla exract, almond extract and blend until well combined. Add hemp, almond or carton based coconut milk and blend another 1-2 mins. Add in disolved gelatin/water mixture and blend for an additional 2 mins. Transfer into a glass dish and set into fridge to cool 4-6hrs. After your mixture has cooled it will resemble a pudding. Stir to break up any clumps and transfer into your ice cream maker. Process according to manufacturers directions (mine takes about 20 mins to set into a nice soft serve). Add remaining 1 cup of fresh cherries (cut into halves or quarters) and chocolate chunks. Process until these add-in's are well combined. Transfer into a pre-chilled shallow glass dish and let set in freezer for 1-2hrs or until desired consistency. To re-use your ice cream just set on counter top for 30 mins until soft. ENJOY! Want more great recipes? Sign up for my Newsletter on the side bar to recieve bi-weekly recipes, tips and info right to your inbox! 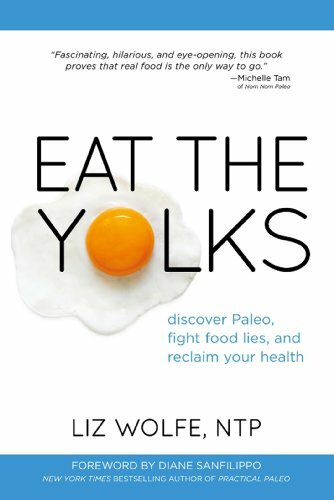 This week I finally got my hands on Peggy Emch’s new book Primal Moms Look Good Naked. After reading it from cover to cover, I’m happy to report that I really enjoyed this book. It’s both well written and beautifully organized. 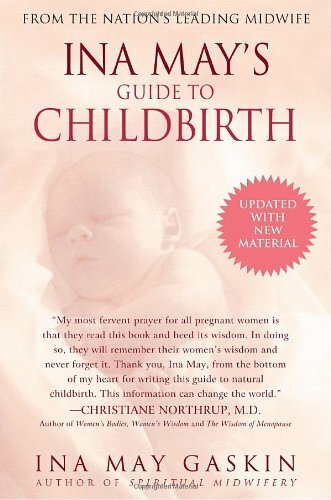 It offers primaly-focused suggestions for many of the common complaints in pregnancy, such as constipation, sagging skin and heartburn. 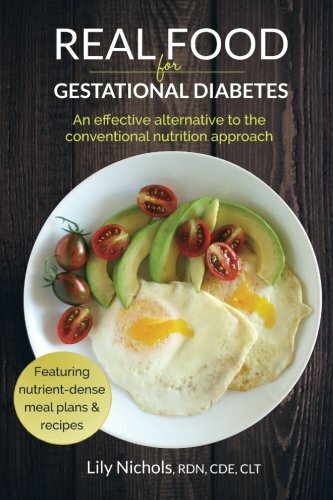 Peggy shows her readers how many of the physical complaints and ‘complications’ of pregnancy are easily prevented or minimized with good nutrition from a sound paleo/primal diet that includes lots of collagen containing and nutrient dense food sources. Primal Moms also offers its ‘readers some sound nutritional guidelines and a great section all about postpartum exercise, which includes photos (which most new mom’s will appreciate…there isn’t much time for reading once baby arrives!). I really love that Peggy encourages gentle movements with a focus on core stabilization exercises that help women regain strength after pregnancy and birth. Overall, I think this book is a fabulous read that has a place on my office shelf; however, I do have a few reflections I want to share after reading the book. I sometimes feel like our society in general places too much emphasis on the ‘physical aspects of pregnancy’. Peggy believes, and I agree, that there is no reason that we can’t “look good naked” after giving birth. A balanced diet of nutrient dense foods can certainly help your body adapt to the physical changes during pregnancy, but I fear that the definition of looking good naked isn’t inclusive of all different shapes and sizes of women. For many women, even eating a squeaky clean paleo diet, hydrating like crazy, resting, exercising and take all the right supplements won't prevent stretch marks, cellulite, scars and sagging skin. Are women with these ‘marks of pregnancy’ not beautiful. Do they not still 'look good naked'? Remember this post? All that being said, I’ve come up with a most splendid recipe that you can incorporate into your diet to help support your body’s collagen production and skin elasticity during pregnancy and beyond. It incorporates the use of grass-fed gelatin, which I first learned about from reading Nourishing Traditions and literature from the Weston A Price Foundation. Helps to regulate hormone function, specifically estrogen dominance, which may contribute to infertility. Is a source of amino acids Proline and Glycine, which are only found in fibrous tissues of animals and can be lacking in the standard American diet (SAD). These amino acids are natural anti-inflammatories, aid in skin elasticity and help support immune function (which is naturally compromised during pregnancy). One study even says it helps with sleep quality, which we all could use more of! I only use well sourced Great Lakes Gelatin and recommend it to all my clients. This recipe also utilizes WILD BLUEBERRIES, which aside from being absolutely delicious are also a rich source of vitamin C and antioxidants. In fact, some research suggests that the antioxidant content of wild blueberries picked from a northern climate may be up to 7 times higher then those of conventionally grown berries. A diet rich in antioxidants can help aid in placental development. So get picking! Check out the link on my growing recipage for the fabulous recipe. It’s low in sugar and is appropriate if you’re following the Autoimmune Protcol. I recommend serving this pie with some grass-fed whipped cream or coconut cream whip. So delicious. Enjoy!